I made it! Back down south after a week on the road. The night before I left to come home I dreamed that I got an envelope. There was a message inside, in a sloppy hand, which read, "You are going to die in a car accident today." Now, I'm a pretty nervous and cautious driver, but a dream like that will cause you to be extra cautious. Anyway, When I crossed the line into Ohio, I noticed the sky in the west getting dark. I stopped to get gas in Bowling Green. It was getting darker and closer. But the sky to the other cardinal directions was normal. I continued south on I-75, keeping an eye on that dark sky. I passed little league baseball games, going on as if nothing at all was happening. I drove through Findlay (Flag City, USA), and then it got really dark. I came up on a rest area, after only four or five drops of rain hit the windshield, and at the last second I decided to pull in. Maybe it was that dream influencing me. I parked the car, thinking I would sit there and wait it out. The wind started really blowing hard. I decided to wait it out in the building rather than in the car. It got really nasty as the storm passed. The winds were blowing like sixty miles per hour. Branches breaking off, leaves everywhere. I just hoped that a tree wasn't going to fall on the car. Eventually I ran out and moved it to spot where there were no trees. In fact, a couple trees did fall at that rest area. When the storm had seemingly passed, I decided to get back on the road. The traffic was moving just fine. About a mile down the road there was a semi truck on its side. Two state troopers there with the party lights on, but the traffic was able to get by. Another couple miles down the road, traffic came to a halt. There were two more semis overturned up ahead, this time right across the two lanes. It took about three hours to clear. I spent half the time sitting in the car, and half the time out walking around. I listened to the radio, ate two apples, looked at maps in the atlas. A truck driver from Tennessee let a black lady pee in the pot in the cab of his Freightliner. When the overturned trucks were finally cleared from the road, I continued down the road. I drove an hour maybe and pulled into Wapakoneta to get a bite to eat, but all the fast food places were closed because there was no power. Drove to the next town South, no power there either. It was almost Dayton before I was able to eat. It was 8:30 and all I had eaten the whole day was two apples. It took me seven and a half hours to drive through Ohio. Later I read on the internet about the extent of this thing: at least 13 dead, and millions without power. In fact, yesterday, driving down I-75, I saw scores of power company trucks, from as far away as Alabama, heading north. All of this to say that I kept my trip short in order to be back today for my radio show. 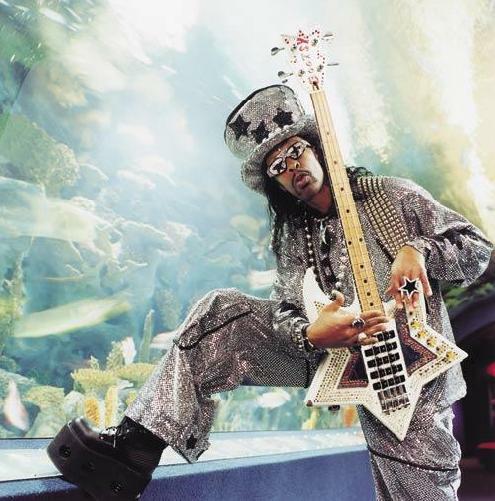 In honor of Bootsy Collins, I did a P-Funk set. We heard A Tribe Called Quest do "Check the Rhime"
When I was driving through Dayton a week ago Friday I was listening to WYSO. 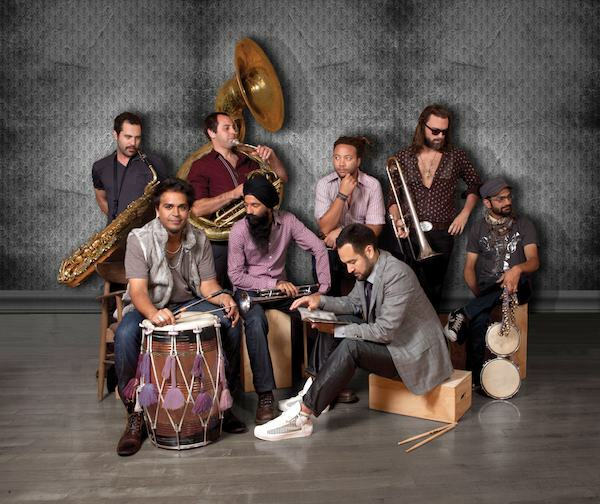 One thing they played was Red Baraat, a sort of bhangra / banda thing. Cool. Curiously, I was driving through Dayton at the same time, in the other direction, a week later. I heard them again. So I looked it up, found it, and played it today. I really like Roberta Flack's cover of the Beatles' "If I Fell." We listend to that, plus a lot of other good stuff. Just look at the play list. Catamount Community Radio, Sunday mornings, 10-12 (ET) on WWCU-FM. Isabel wouldn't need her tippy toesies if she had Bootsy's Booties. I'm glad you pulled over when you did. That was some storm! Nice use of the line!